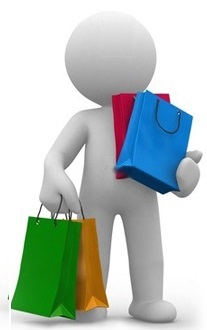 Want to start your own shopping website? Here at Sparkstation we provide cutting edge e-commerce solutions for our customers. Our E-commerce solutions are easy to use, manage and best in industry we know here are hundreds of other companies providing e-commerce solutions but none of them come close to offering the level of options, features and support available with Sparkstation. We are specialists in producing specialised e-commerce solutions for small to medium sized businesses. With our e-commerce solutions , you can create and publish a stand-alone online shopping website or add one to your existing Web site. The features all Spark station Hosting plans enjoys! Need some info that you can’t seems to find? Or need help with anything about your website we offer 24/7 WAW support. All our servers connected to our state of art premium BGP network with multiple carriers this ensure that your website will get blazing fast speed from any corner of world. Whether you want to install a blog , CMS or e-commerce site all you need to do few clicks and our auto-installer will install almost any thing for you. We provide instant activation for all your hosting plans so you do not need to wait for hours to get your account activated everthing here is instant! know that how import your website is for you and that is why we provide guaranteed 99.9% uptime so your website will never go down. We use enterprise grade HP hardware for our all hosting plans we use quad core xeons / Intell i7 processors, 16 GB Ram and high-performance 15,000rpm SCSI/SAS hard drives with RAID-5. Because we know you’ll like our services! If anytime you think that our server is not satisfactory then, just let us know and we’ll refund you, no questions will be asked. Here are latest shopping cart site created by us! Sparkstation has partnered with internationally recognized technology partners to effectively offer solutions outside of our current product scope. Through these partnerships, we provide integrated world class solutions that help our customers solve problems and achieve their goals.